– The opening video recapped last week as new WWE Champion Bray Wyatt had to defend against John Cena and AJ Styles. Also shown was Luke Harper’s attack on Wyatt as revenge, which only created another obstacle for the Champ. Sure enough, he battled through and actually pinned Cena to keep his belt. Autocorrect turned that into “belly.” Do with that what you will. Anyways, The “Era Of Wyatt” was set to continue and his influence was so great that even Royal Rumble Winner Randy Orton refused to face him for the belt come WrestleMania 33. What a loyal disciple. 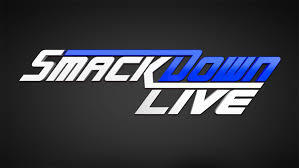 In turn, SmackDown Live General Manager Daniel Bryan determined that a 10-Man Battle Royale would take place to determine who would face Wyatt at Mania. Simple enough and we’ve got a huge main event on our hands. – The opening video hyped up the big Steel Cage Match main event for the WWE SmackDown Women’s Championship between Champion Alexa Bliss and Becky Lynch. Primarily, the focus was on Bliss’ repeated attempts to flee, but the bout’s basis would be that all paths were now closed off thanks to the cage. We were eager to give it a shot. Especially loved that this would be the closer. – The opening video highlighted the latest developments in the WWE Intercontinental Champion Dean Ambrose-Miz feud, that began when Miz “outed” Renee Young’s relationship with the Champ. Ambrose got revenge as he attacked Miz dressed as a security guard, although Young was slapped by Maryse backstage. The ultimate last laugh came when Ambrose outsmarted Miz to take his Title and that’s where things were now.